Registration not necessary - Just come! 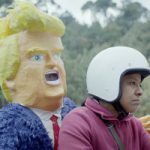 A Mexican mother is torn between her politics and getting a Trump piñata for her son’s birthday. RAMÓN is a veteran tailor that has been elaborating gentlemen’s clothing for decades, but in recent years his tailor shop has become anachronistic and his profits scarcer. GERMÁN, the son of his longtime landlord and friend arrives one day, telling him that he is now in charge of the rent and that his contract won’t be renewed. Ramón now has a month to find solutions to his financial problems before Germán returns and throws him to the street. While young people don’t seem to appreciate Ramon’s craft, his long standing clients are dying one after the other. But it is among a young crowd that a solution to Ramon’s problems presents itself, although in a twisted and trendy way. Facundo displaced by violence reaches the village from his town. Just when he arrives, sons of families that live in this village , begin to disappear , which causes a mistrust of the villagers . As days elapse, fear and suffering by the people, Facundo will be face with a series of unexpected events. 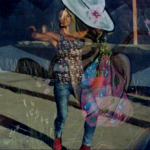 Filmed on a 16mm Bolex in Cochabamba, Bolivia, MI ENCUENTRO uses colorful double exposure to highlight creative choreography. Going home after being away 8 years created new perspectives based on rooted memories that I didn’t know were in me. Our past and present is who we are. Our buildings and our people are the foundation of our existence. 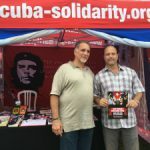 The Miami Five Freedom Tour last July aimed to ensure that as many people as possible who had supported their fight for justice, written to them in prison (for 16 years) and who had played a key role in achieving both their freedom were visited by two of the five – René Gonzalez and Gerardo Herández. They visited London, Tolpuddle, Durham, Manchester and Cardiff to thank the people and especially Cuba Solidarity Campaign in their long struggle for freedom. Simojovel in the South of Mexico, is one of the two regions in the world where natural amber has a unique transparency and range of colours. The way of extracting remains unchanged since Mayan times: by hand in tunnels dug into the mountains. This amber has become very valuable for international buyers. 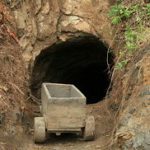 The indigenous miners own their mines, but they cannot reach the buyers, separated by 3 other steps in the marketing and production chain, where jewellers can make a 500%+ profit. But now, Chinese and US buyers are going directly to the mines and paying top dollar and the old club of national jewellers complain of unfairness.